Part-IV deals with the ill effects of consuming non-vegetarian food, consuming alcohol/liquor and smoking. 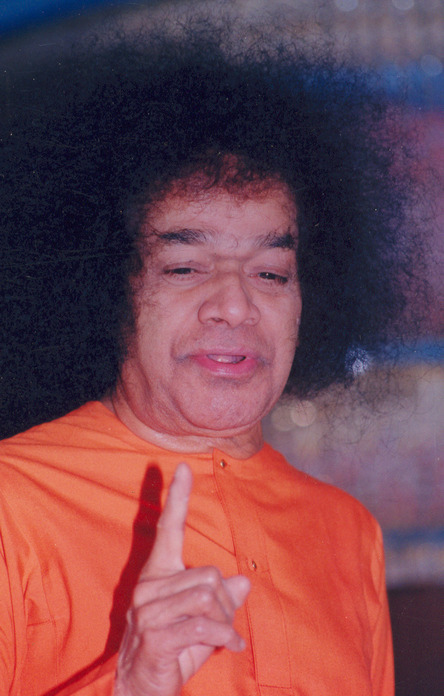 Bhagawan explains logically, the need to give up each of these undesirable habits. 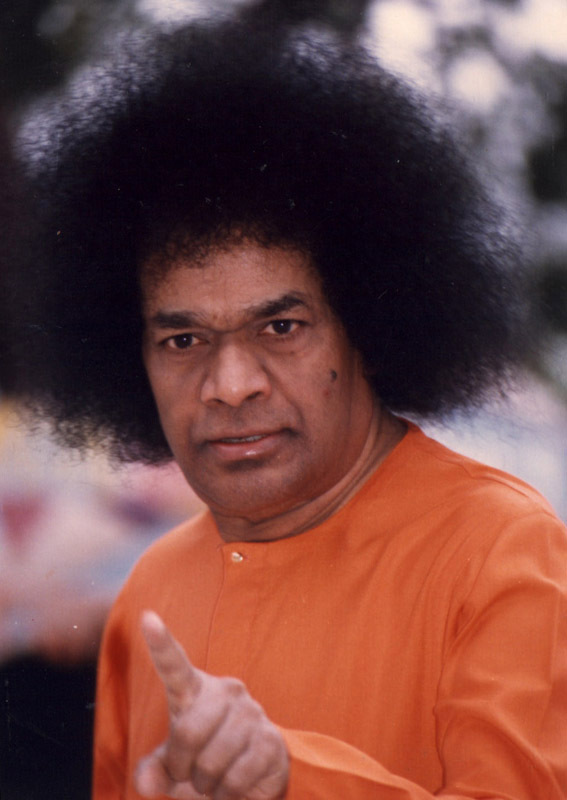 There are 8 excerpts from Bhagawan’s Discourses on the harmful effects of eating non-vegetarian food, consumption of alcohol and smoking; presented in this posting. These excerpts have been selected from Discourses given by Bhagawan Baba in the years 1990, 1994, 1998, and 2001. In Clip-1, Bhagawan gives a general introduction to the harmful effects of all the three habits: eating non-vegetarian food, consuming alcohol/liquor and smoking. In Clip-2, Bhagawan focuses on eating non-vegetarian food. He condemns this practice from a aspiritual point of view stating that true devotees of God must give up this habit. In Clip-3, Bhagawan focuses on the negative impact that consumption of non-vegetarian food has on one’s physical body and the mind. He explains how eating non-vegetarian food makes humans prone to so many diseases. He also gives alternatives to people who are made to believe that meat is the only good source of proteins. I the next Clip-4, Bhagawan illustrates through a conversation between a son and a mother, how chidren should cultivate the good habit of eating vegetarian food and then also inpsire their parents to do the same. Clip-5 focuses on the harmful effects of drinking alcohol/liquor. Clip-6 once again enlists several negative impacts and diseases that are associated with consuming non-vegetarian food and alcoholism. 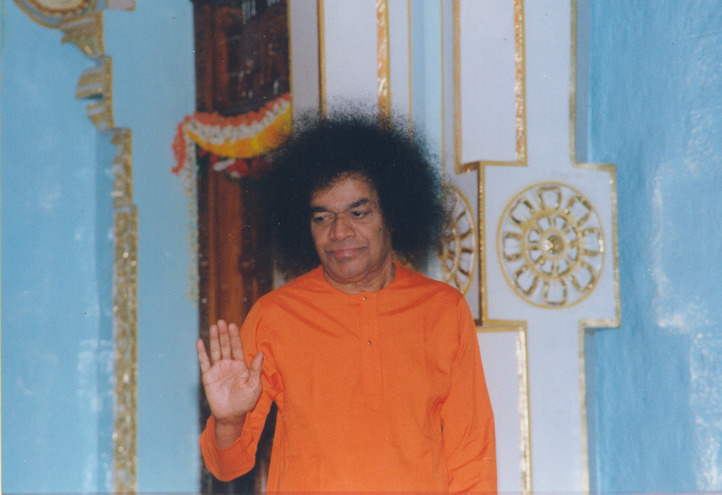 In Clip-7, Bhagawan explains how giving up these habits cannot be an outcome of external force but has to come about as a result of internal transformation through right understanding. Finally, in Clip-8, Bhagawan appeals to all His devotees to give up these three habits as an offering; as a gift to Bhagawan on His Birthday. Truth, Righteousness, Peace and Love are the human values. The one who nurtures these values is a true human being. Food plays a very significant role in nurturing these human values. Embodiments of Love! Do not take what I am saying in a wrong way. On this sacred day of Vijaya Dasami, take an oath to give up vices such as smoking, drinking, and partaking of non-vegetarian food. Give up these three habits and you will develop a sacred heart. Many do not know, but smoking leads to many other bad habits. It also leads to many deadly diseases. If a smoker takes a deep puff and then blows air on a white handkerchief, she/he will find dark spots on it. Smoking is one of the main causes for cancer. You are ruining your health and losing your sacredness because of smoking. Drinking is a demonic quality. It makes you forget yourself. You would not even know in what state you are or what words you are uttering. It makes you intoxicated and forget yourself. What sort of behaviour can you expect from such an individual? Therefore, never get into the habit of drinking. Next is the consumption of non-vegetarian food. The human body is made up of five elements, food and muscles. The body is full of dirt and diseases. It cannot cross the ocean of Samsara. O mind, never think that body is permanent; surrender to the feet of God. (Telugu poem). When the human body itself is made of flesh, where is the need to consume flesh again? Does anyone consume human flesh? No. Why? Because the body itself is made up of the very same flesh! The human body is very dirty. You should offer it only sacred food and good food. Only then you will be able to engage in good deeds. For sacred thoughts and sacred deeds, sacred food is very essential. A noble soul like Bhishma himself suffered on account of unsacred food. As a consequence, though he was alive, he had to lie on a bed of arrows for 56 days. How do we get rid of bad feelings, selfishness and self-interest, pomp and ego? These qualities arise on account of food and habits. Today, be it anyone, but those who consider themselves as devotees of God, must give up eating non-vegetarian food. Why? Because consumption of the meat of animals, nurtures animal qualities in man. In Hindi language it is said, “Jaise Anna, Vaise Man” meaning “As is the food, so is the mind”. As is the food, so is the belching. If you eat a mango, can you get the belching with the taste of a cucumber? No, you will get belching with the taste of a mango only. When you partake of the meat of cruel animals, the quality of cruelty develops in you too. Not only this. What a great sin it is to consume life that is made up of five elements and which we see manifest with the senses of sound, feeling, form, taste and smell? Apart from developing demonic qualities, what a great sin it is to kill another being that is made up of the same five elements that the human body is made up of. Committing such a sin gives rise to worry. Therefore true devotees and those who aspire to be true devotees, must give up eating non-vegetarian food. People say they are Sai devotees, Rama devotees, Krishna devotees; but they sit and eat chicken! How can such people be true devotees? They are actually demons. They will never be the recipients of God’s Grace. Therefore, be it Indians or people from overseas; those who wish to follow Bhagawan’s command must give up meat eating immediately. The name of this world is “Jagath”. “Ja” means “Coming” and “Gath” means “Going”. The very name of this world – “Jagath” means “Coming and Going”. Once we know this truth, why should we worry? We must not give any scope for such worry. Only then, will human beings gain the deservedness to realize the Divinity in them. Except for human beings no other beings have this unique opportunity of realizing Divinity. For this, food and habits play a very important role. Among 84 lakhs of spices that exist in this creation, 83,99,999 species enjoy food that is provided by Nature. All birds and animals live on natural foods and are therefore not prone to many diseases. But human beings alone, swayed by the taste of the tongue, carried away by various tastes, transform the natural food into various forms based on their imaginations. They cook the food and make it into Kurmas (a dish originating in South Asia or Central Asia; it is usually considered a type of curry). But they do not realize how this reduces their life span. Even among human beings, those who consume vegetables are less prone to diseases. But those who consume meat are prone to more diseases. Why? Because, vegetarian food alone provides the right type of balance that is needed by human beings. This is a human body and that is an animal body. The two do not gel well each other. Doctors advise people to consume more meat saying that it is a good source of proteins and it will keep them fit and healthy. However, this is a weakness. Is there no protein in the milk you drink? Is there no protein in curd, in vegetables, in pulses? Proteins are there in so many items. Meat eating not only leads to diseases of the body but it also leads to mental diseases. There is a relationship between Food, Head and God. When people eat animal food, it gives birth to animal thoughts in them. As is the food, so are the feelings. A small example: In a house, once every week, they used to prepare mutton. When our students go home, parents say, “Oh my dear son, you have been in Puttaparthi for one long year, you have not eaten any chicken, sheep or fish”. Saying so, they prepare all the dishes and serve the children with love. However, the son should say, “Mother, I will not do this bad act. Why should I kill one being to keep this being alive? This is not good for me. You are going just by the body. You are offering flesh to this body which is made up of the very same flesh. We must offer nectar to this body made up of flesh. We must partake of sacred food. We must partake of food given to us by God. We should not eat non-vegetarian food that enhances our bad qualities and bad actions. When once the children keep telling like this again and again, parents too will get transformed. I know of many such cases. After the children have come to our college, through them, their parents too have given up non-vegetarian food. The second aspect; we drink water. There is life in water. It contains life force in it. Water is a sacred aspect of God. Water originates from God; from the hair locks of Lord Shiva (as the Ganges). Giving up such sacred water and taking to drinking liquor / alcohol is a big mistake. Alcoholism is very cruel. It makes you forget yourself. It makes you lose your respect, lose your human qualities and makes you forget God. A drunken man does not even know what he is doing, talking or listening. He keeps on rambling. How shameful it is to see people in this state. One tends to laugh to see how such people, though being born as human beings, behave like beings without life. This is not good. Drinking (liquor/alcohol) also leads to destruction of many families. All the money that one earns is spent on this evil habit and the man is not able to take care of his own wife and children. With all the wealth, what is the use if one cannot foster one’s own parents, wife and children? The root cause of these evils is alcoholism. It is the primary responsibility of human beings to prevent themselves from becoming a victim of any disease. When one’s food and habits is well regulated, there would be no scope for any disease at all. It is said that proteins and vitamins are very essential for human beings. Non-vegetarian food and addiction to alcohol are the root causes for heart ailments and other major diseases. Research has revealed that people who consume vegetarian food are far less prone to heart ailments than those who consume non-vegetarian food and alcohol. Even the vegetarian food that is consumed should be balanced and wholesome. It should contain liberal doses of Vitamin C and Vitamin E, which are available amply in green leaves and carrots. The presence of these vitamins prevents heart ailments in a large measure. Therefore one should ensure the intake of these vitamins in good quantity. We must ensure that we eat our food in time. Health is wealth. Wealth cannot be enjoyed by a person with poor health. Therefore good health is man’s greatest wealth and strength. We must exercise necessary restraint and regulation even in the consumption of good and healthy food. Birds and beasts also take food but they do not suffer from cardiac and digestive ailments to which man is prone. The cause can be traced to the natural food which the animals consume. Human beings, becoming the slaves of their stomachs and the servants of their tongue are shackling their own hands and legs. Birds and beasts do not have any such compulsions. Human beings are violating all limits and taking to extreme ways in their food and other habits. Human beings alone have the discrimination power related to day to day matters. It is because of this power of discrimination, that we find a significant difference between birds and beasts on one hand and the human beings on the other. Therefore, when humans exercise moderation in their food habits, they can be saved from such major diseases. Along with drinking (alcohol), some also smoke cigarettes. Because of smoking, humans are subject to many diseases. Asthma, Eosinophilia and Cardiac ailments arise on account of smoking. If an individual smokes even once, she/he is prone to get cancer. The impact of smoking can be actually demonstrated. Take a white cloth and after having taken a deep puff, blow air onto the white cloth. You will find dark spots appearing on the cloth. If it can make such an impact on the cloth itself, you can imagine what impact it can make when it gets into the human blood stream. It ruins one’s health and shortens one’s life-span. Therefore, those who aspire to become true devotees of God have to give up meat, liquor and smoking. No government can stop these habits. The feelings have to transform individuals from within. It is only mental transformation that can bring about a change. Each one must recognize the truth and conduct oneself accordingly. Embodiments of Love! You are deeming this day as the 69th Birthday of Swami. I have no desire to celebrate such birthdays. As I was coming (for Darshan), I was greeted by many wishing Me “Happy Birthday”. I am always happy. Why should anyone wish “Happy Birthday” to Me? Be happy yourselves. Your happiness is My happiness. Today, as an offering to Swami, give up meat eating, consuming liquor and smoking. By renouncing these three, you will benefit yourselves as well as the society and the nation. Swami’s sole aim is to promote the welfare of the family, the society and the nation. 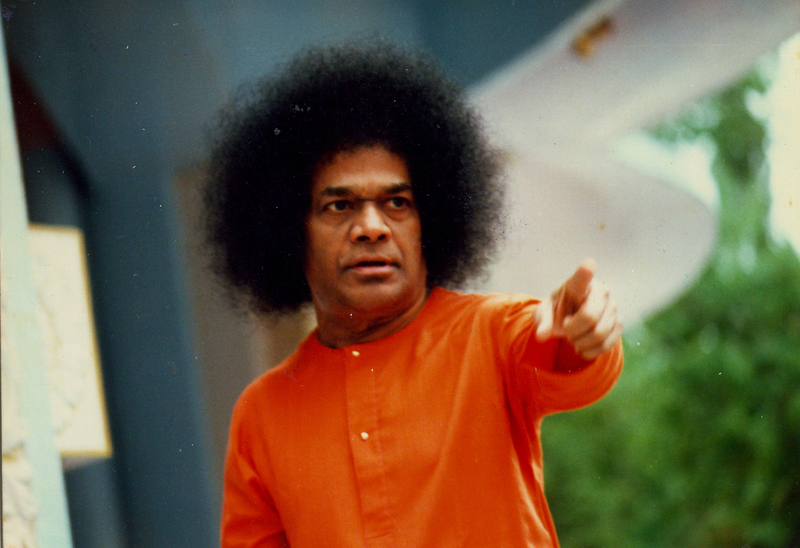 If you wish to carry out Swami’s command, renounce from this moment itself these three bad practices. Do not put if off to tomorrow. If you keep saying “next”, “next” it will become a “test” and then it will become a “taste”. No. Take the resolve from this moment. This is what I expect from you today! 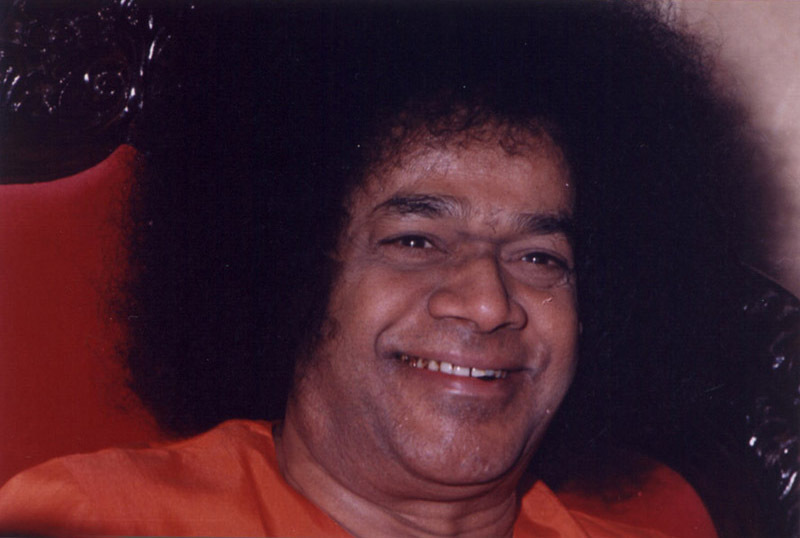 01-What is the logic given by Bhagawan regarding the meaninglessness in the human body consuming flesh as food? 02-What are the various reasons that Bhagawan gives discouraging humans from consuming non-vegetarian food? Can you list them out as bullet points? 03-Why are birds and beasts less prone to diseases than human beings? 04-What are the vegetarian food items that Bhagawan mentions as good sources of proteins? 05-How does Bhagawan, through an illustration, encourage children to inspire their parents to give up non-vegetarian food? 06-What are the various ill effects of alcoholism mentioned by Bhagawan? Can you list them out as bullet points? 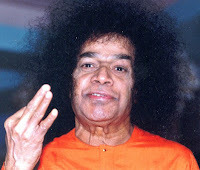 07-What are the two most important Vitamins necessary for a healthy body according to Bhagawan? 08-How does Bhagawan bring about the significant difference between birds and beasts on one hand and human beings on the other hand, through a Sanskrit verse? What is this major difference? 09-How does Bhagawan illustrate the negative impact that smoking can cause to the human body, through the example of a white cloth? 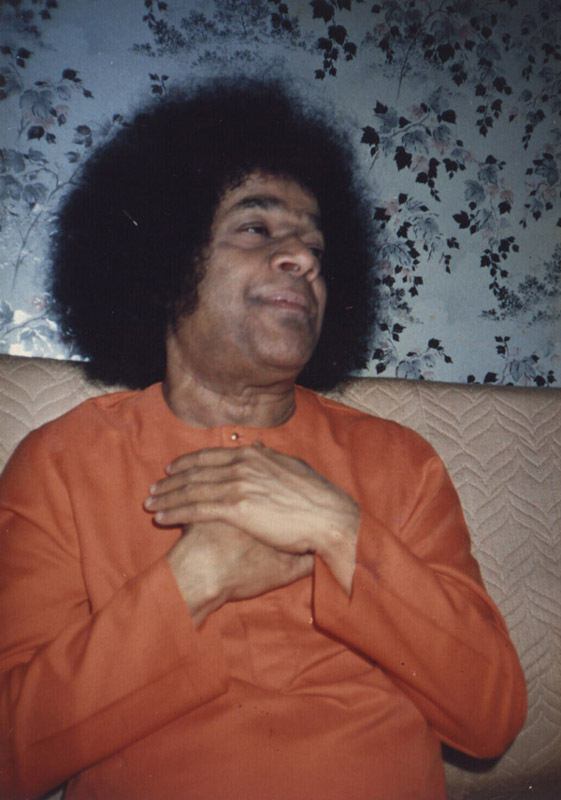 10-What does Bhagawan seek from His devotees as a gift on His Birthday? With this posting, we complete the four parts of this Module on Guidelines on Dietary Habits - What, When and How to Eat Food.